Ferrari says that it is likely to hold fire on a decision about Kimi Raikkonen's future until after the summer break – as it shifts priorities to performance improvements. But, despite suggestions Ferrari had to make a call by the end of July, team principal Maurizio Arrivabene has made clear that there are more important things taking up his time over the summer shutdown period. When asked if he will decide about Raikkonen over the summer break, Arrivabene said: “Why? Tell me the reason why? During the summer break normally you are doing a break – so you are not deciding, working or thinking. With Sebastian Vettel having delivered Ferrari's second victory of the season at the Hungarian Grand Prix, the Maranello team is eager to make further gains with its car to deliver more success. And although Raikkonen's contract remains a talking point in the paddock, Arrivabene says all his team should worry about – especially with the Finn showing good speed at the Hungaroring – is making its car quicker. "It is interesting that because when I am answering this type of question, you are telling me I am always giving you the same answer, without thinking that you are always asking the same question,” he joked with the media about Raikkonen questions. Raikkonen had looked on course to play a part in Ferrari's first 1-2 for five years in Hungary, but was robbed of the chance by an MGU-K failure. Arrivabene said the retirement was a huge blow to him, having seen the former world champion suffer his fair share of bad luck this year. 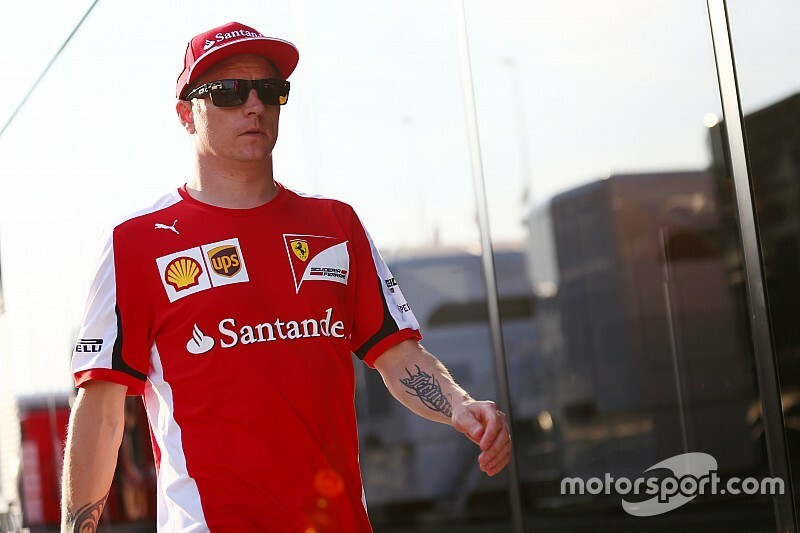 “I am really disappointed because if I had to be honest, Kimi was really very good,” he said. “I mean both of them, especially after the start, looked strong. “These things happen. Sometimes you win because the other team is having trouble instead of you, but it is part of the game and we have to accept it.